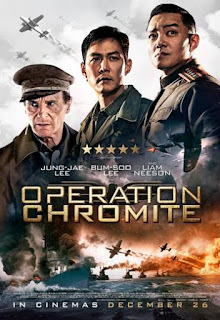 The film tells the story the a landing operation at the South Korean harbour city Incheon during North Korea’s 1950 invasion, which has a success chance of 5,000:1 but succeeding seems to be only way to turn the tide of war. Operation Chromite is in cinemas and on demand from 26th December, courtesy of Signature entertainment. Starring Liam Neeson, Jung-jae Lee and Beom-su Lee.